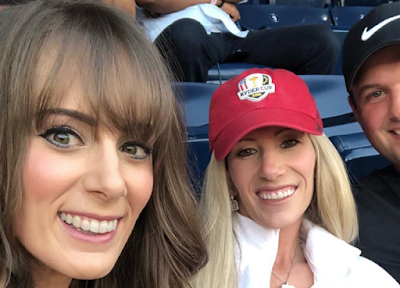 You have to hand it to Pat Reed's wife Justine for having the balls to ring up David Leadbetter and ask him to help her struggling husband. Leadbetter was spotted on the range with Reed at Innisbrook, but the legendary teacher revealed it wasn't Pat himself that initiated contact. Through gritted teeth Reed said he fully endorses anything his wife decides.